Beautiful cardbacks, Andy. Great to see some coming straight from the source! [You must be registered and logged in to see this link.] Great to see someone new posting, share something and get in on our [You must be registered and logged in to see this link.]! Hi everyone I had a 20 year break from collecting but I stumbled across a guy selling his childhood collection that I just had to have so now I'm back collecting again after this huge haul that I had to share! Andy, those are a couple of awesome cardbacks. [You must be registered and logged in to see this link.] wrote: Hi everyone I had a 20 year break from collecting but I stumbled across a guy selling his childhood collection that I just had to have so now I'm back collecting again after this huge haul that I had to share! That's a fantastic haul of toys. Well done. [You must be registered and logged in to see this link.] wrote: Lovely cardbacks! Welcome on board to both of you. Please feel free to introduce yourself to the rest of the crew. I have been a member for a few years, I visit and read the threads but haven't posted. I came across this site while looking for some ESB stickers. Came across an ad Clint had up so responded and actually met Clint as he live close to me. I predominantly collect cards but recently decided to start picking up the Action Figures. Here are a couple of my recent pickups. on board. I have seen you logged in, every once in a while. Glad you decided to make a great first post. That’s a great start on the figures, [You must be registered and logged in to see this link.]! Great to see you make a post! Since you live pretty close to Clint, you might enjoy all the toy show posts in the Gone to the Con section. Since I’ve been posting a lot, most of them are from Southern Ontario. You can get an idea of what was available at some of the semi-local shows. Thanks [You must be registered and logged in to see this link.]. I have read your show reviews as you put them up. I try to get out to the Woodstock one when I can. There is a vendor at that show that always has some nice Star Wars stuff. I bought a set of Blueprints from them last show, reasonable price and they were nice guys. I missed the Kitchener one last time it was there but will probably get to the next one. Some random pickups to share, a Palitoy pack in poster catalog (I think it came with a Boxed Slave 1), and a sealed Canadian "Rebel Mission to Ord Mantell" vinyl. Gotta love the weird pedistals on the "New" ROTJ figures on the bottom left. This is in great shape due to being sealed, the art is super vibrant, hasn't been left in a window. Interesting to see a predominantly original piece of art on the cover but then you get these two little stormtroopers that are based on the same image used for the cardback. Printed about 30km away from me in '83. 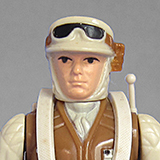 Just got this Kenner USA Luke with a Canadian Consumers Distributing price sticker on the front of the bubble. Pretty unfortunate sticker placement but I made the best offer at about half of the asking price and it was accepted. Totally unrelated, I just got back from a work trip from Quebec with the biggest haul of Quebec exclusive EH comics that I`ve ever found. About half of these were already spoken for when I picked them up. The big treasury edition on the right is a new one for me and definitely staying in my collection. The two on the bottom are a Thor and Avengers (all in French) from the same publisher, I picked them up because it featured the mail away offer for the treasury editions on the back. Chris, nice Luke Jedi MOC & French Canadian comics. I guess it's one of those weeks. Thanks to a respectable tip from Commander Clint, I've got this Canadian Rancor. It was not labelled as such on ebay. According to TVR podcast last month, you might as well not even try to find one of these. Pete was right to say so, with only one visible on SW tracker. It came with the insert as well, all for a reasonable $120CAD. The english side has a bit of damage but I don't mind at all. [You must be registered and logged in to see this link.] wrote: Thanks to a respectable tip from Commander Clint, I've got this Canadian Rancor. What a find ... never ever saw one of these ... and if you already wrote, didn't know it existed since mentioning the canadian version on TVRP.